Applets are small Java applications that can be accessed on an Internet server, transported over Internet, and can be automatically installed and run as apart of a web document. 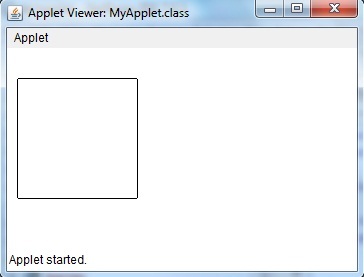 Any applet in Java is a class that extends the java.applet.Applet class. An Applet class does not have any main() method. It is viewed using JVM. The JVM can use either a plug-in of the Web browser or a separate runtime environment to run an applet application. Every Applet application must declare a paint() method. This method is defined by AWT class and must be overridden by the applet. paint() method is called each time an applet neede to redisplay its output. Another important thing to notice about applet application is that, execution of an applet does not begin at main() method. In fact an applet application does not have any main() method. Very less response time as it works on the client side. Can be run using any browser, which has JVM running in it. 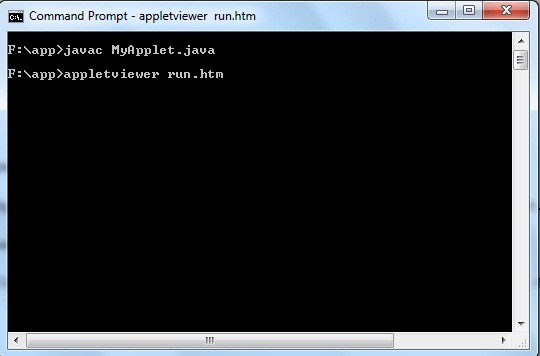 To execute an Applet with an applet viewer, write short HTML file as discussed above. 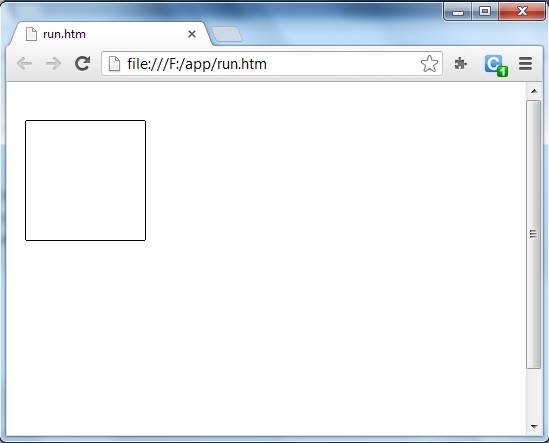 If name it as run.htm, then the following command will run your applet program.